Gordon Ramsay Jr OBE is a 52-year-old Scottish chef and restaurateur known for his highly acclaimed restaurants and cookbooks. He is also known for profanity and fiery temper that he displays on TV cooking programmes such as Hell’s Kitchen and fly on the wall shows such as Kitchen Nightmares in the UK and US. Where does Gordon Ramsay live and where is he from? Born in Scotland, Ramsay grew up in Stratford-upon-Avon from the age of five. Ramsay’s father, Gordon James Sr was a swimming pool manager, a welder, and a shopkeeper before passing in 1997. His sister Yvonne and their mother, Helen, were both nurses. Now Gordon Ramsay lives with his wife Caetana ‘Tana’ Hutcheson in their main home in Wandsworth Common, London. They have four children, Megan, Holly, Jack and Matilda. Ramsay left behind an early athletic career to become a renowned chef in London. How much is Gordon Ramsay worth? 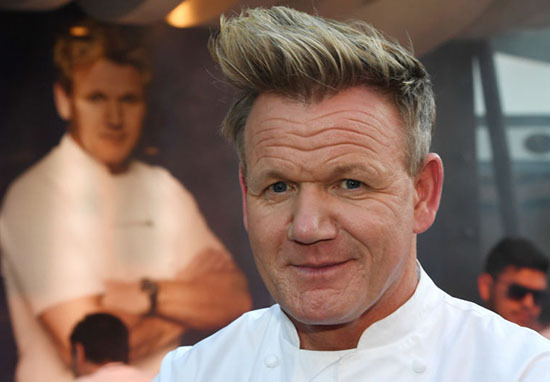 Forbes claimed that in 2017, Gordon Ramsay was worth $54million (£40million) – as much as global pop icon Beyonce – between his restaurants, reality TV appearances, and other businesses. In 2016, Fox News rated him the third most successful TV chef behind Jamie Oliver in first and Rachael Ray in second. What TV shows has Gordon Ramsay presented? Ramsay is known for presenting TV programmes about competitive cookery and food, such as the British series Hell’s Kitchen, Ramsay’s Kitchen Nightmares and The F Word, along with the American versions of Hell’s Kitchen and Kitchen Nightmares. He also presents MasterChef, MasterChef Junior, and Hotel Hell in the US. How many Michelin stars does Gordon Ramsay have? Gordon Ramsay owns restaurants across the world. His restaurants have been awarded 16 Michelin stars in total but his signature outlet, Restaurant Gordon Ramsay, based in Chelsea, London, has held three Michelin stars since 2001. Gordon Ramsay’s parent group has a total of 35 restaurants globally and seven Michelin stars, with international restaurants spanning the globe in Europe, The Middle East, Asia and the United States. The group has 15 restaurants in London alone, employing 700 staff. They include: Aubergine, The Boxwood Café, Bread Street Kitchen, Gordon Ramsay at Claridge’s, Angela Hartnett at The Connaught, The Devonshire, Foxtrot Oscar, Gordon Ramsay Plane Food, L’Oranger, Maze, The Narrow, La Noisette, Pétrus[e], Savoy Grill, The Warrington and York and Albany. 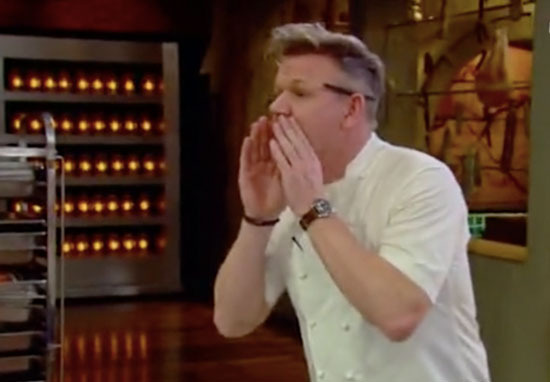 How old is Gordon Ramsay and when is his birthday? Gordon Ramsay was born on November 8, 1966, and is 52 years old. Did Gordon Ramsay cheat on his wife? Yes. In 2008, TV chef Gordon Ramsay apologised to his wife Tana after admitting to meeting ‘professional mistress’ Sarah Symonds four times. According to the Daily Mirror, the celebrity chef also confided in a friend that he was appalled his wife had to endure humiliation over the infidelity claims. Ramsay is alleged to have told a friend: ‘I’m so sorry I’ve put Tana through this. I’ve apologised to her and feel absolutely dreadful.’ In 2018, Tana and Gordon are still together. 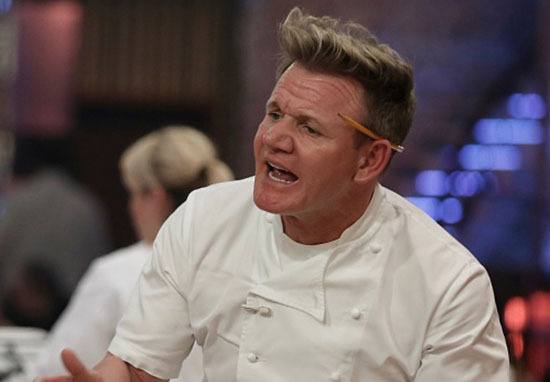 Does Gordon Ramsay have anger problems? It is not clear, nor has it been disclosed, if Ramsay has clinically diagnosed anger issues. But Gordon said it was natural for a top chef to be ‘fiery and passionate’ about his work. Meanwhile, website Prezi claimed that a research study had been carried out on the chef’s temperament. It said that the study was based on the fact that: ‘Gordon Ramsay has been diagnosed by several psychologists to have bipolar disorder and schizophrenia. These are both extremely apparent if you watch his show Hell’s Kitchen.’ He once dressed as Mrs Doubtfire. Does Gordon Ramsay collect Ferraris? Did Gordon Ramsay have a football career? Yes. Ramsay played football and was first chosen to play under-14 football at age 12 for Warwickshire. His footballing career was marked by injuries, causing him to remark later in life: ‘Perhaps I was doomed when it came to football’. In 1984 Ramsay had a trial with Scottish Premier League side Rangers, the club he supported as a boy. He seriously injured his knee, smashing the cartilage during training but continued regardless. He has claimed to play in two first team matches for Rangers, although these claims remain uncorroborated. What is Gordon Ramsay’s most famous dish? 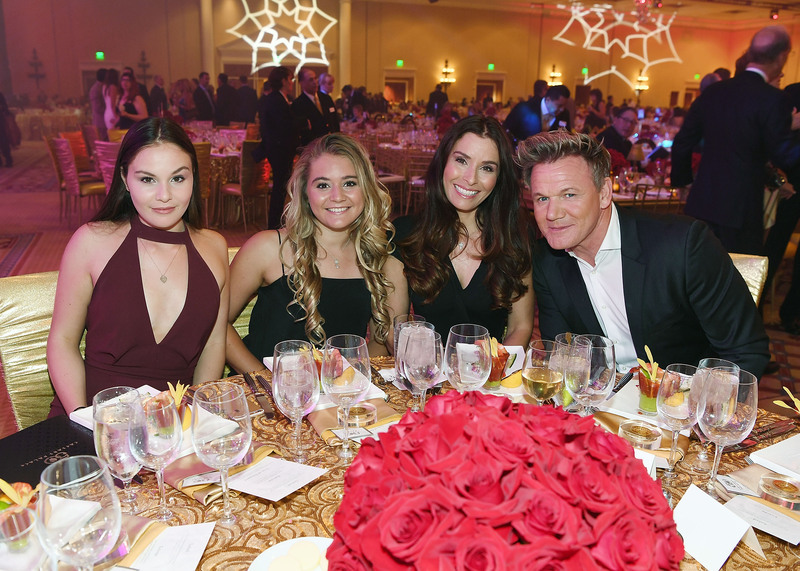 Chef Ramsay’s most famous dish is from his Hell’s Kitchen branch in Las Vegas. It is a Beef Wellington, a traditional dish consisting of a seared filet mignon smothered in whole-grain mustard and wrapped in layers of salty prosciutto, herbed crepe, duxelles, and puff pastry.